When it comes to skin care, it is more than just cleansing and moisturizing that needs to be done. There are many different methods to try and products to use that can help keep your skin healthy and beautiful. However, it can be extremely overwhelming when you walk down the skin care aisle and see the endless amount of products. From eye cream and toner to serum and face oil, it can be so difficult to know which products you need and what they are even used for. If you feel lost when trying to figure out what skin care products to use, this blog is for you! 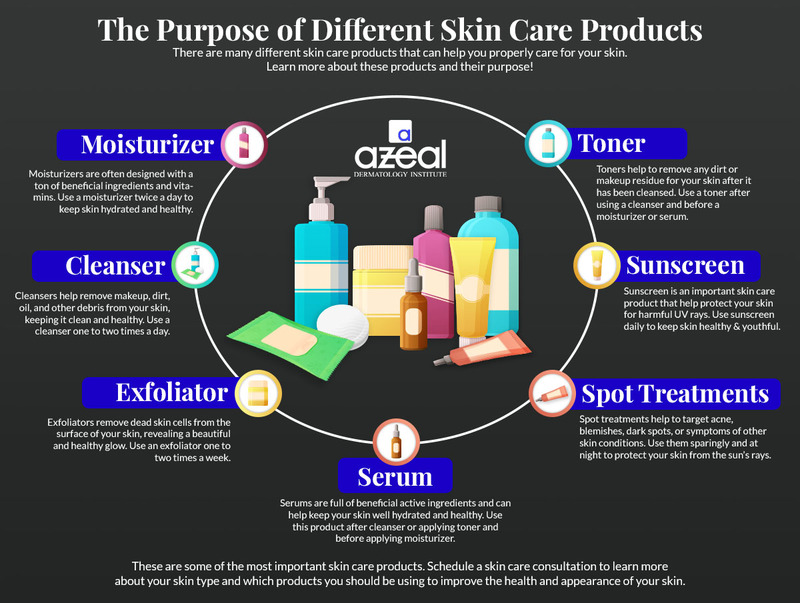 Our team at Azeal Dermatology Institute in Boulder, wants to help you learn about the different skin care products and what you should be using them for. At our dermatology office, you can find a variety of skin care and other products that we recommend. Be sure to shop through our online store after learning more about what each skin care product is for! While a cleanser may seem like a very obvious skin care product, it is one of the most important ones. When you shop for a cleanser, be sure to find one that is water-soluble and gentle, but able to remove your makeup. When it comes to a facial cleanser, you want to find a good one. Don’t settle for just any cleanser or soap. Soap and cleansers with soap will dry out your skin because their pH balance is too basic. Since everyone’s skin is different, one cleanser may work better for you than others. Find a skin cleanser based on your main concern, whether it is dryness, acne, or skin sensitivity. To learn more about your skin type and what type of cleanser you need, schedule a skin consultation at Azeal! We will help you learn more about what type of cleanser your skin needs. An exfoliator is another skin care product that can help keep your skin healthy, smooth, and youthful. Exfoliating removes dead skin cells from the surface of your skin, giving your skin a beautiful glow. While exfoliators are very useful, they should not be used every day. Use an exfoliator once or twice a week to enjoy the benefits. While most exfoliators come in a scrub, this can be irritating to sensitive skin. If you have sensitive skin, an exfoliating mask can be a great alternative! Find an exfoliator that works with your skin type and use it at least once a week. This is a great way to put the glow back in dull skin. Toners can be an important part of a healthy skin care routine. Toners help to remove any makeup, dirt, and oil residue from your skin after you have cleansed it. There are many different types of toners, made for different types of skin. These toners can provide anti-inflammatory properties, antioxidants, and help to clear out pores. You can think of toner as a type of pre-moisturizer or pre-serum, using it on clean skin to help the skin better absorb the next product in your skin care routine. However, if you have never used toner before and have healthy skin, there is really no reason to start. If your skin’s pH is off due to harsh soaps and cleansers, a toner can help bring your skin back to a healthy pH level. During your skin care consultation, we can help you determine whether or not toner is a good product to add to your skin care routine. Serum is an important skin care product because it is full of beneficial and active ingredients. Serums have antioxidants and anti-aging ingredients. This allows your skin to fight free radical damage and stimulate collagen production, leaving your skin healthy and youthful. Serums penetrate the skin at a deep level, allowing the active ingredients to work better and help keep the skin more hydrated. If you want to add serums to your skin care routine, apply it after cleansing your face, before applying moisturizer. If you use toner as well, use serum afterward! Spot treatment products are great for those with blemishes, dark spots, and symptoms of skin conditions. These products are packed full of powerful active ingredients, which help target these areas of concern. They can be extremely beneficial and help target those skin problems. If you need one of these target treatment products, you will want to use it at night and only when necessary. 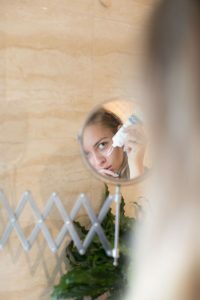 These treatments, especially acne spot treatments can dry out your skin, so try not to use them too often, and when you do, only use them on the small area that you need them. Moisturizer is a must when it comes to your skin care routine, no matter what type of skin you have. Especially in Colorado, where winters get extremely dry, moisturizers help to keep the skin hydrated and healthy. 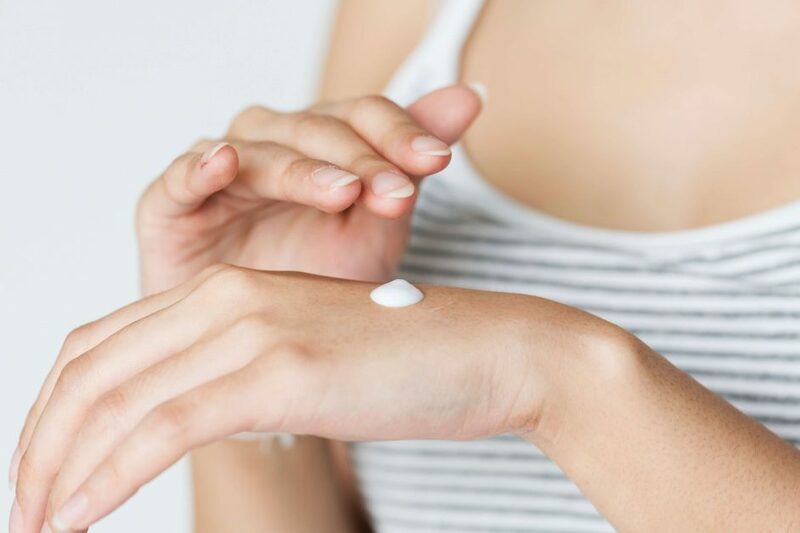 No matter what type of skin you have, you will be able to find a moisturizer that will work for you. Some are simple and others are full of beneficial ingredients like vitamins and antioxidants. A facial oil works great as a moisturizer as well. Even if you choose not to use toners, serum, or other skin care products, moisturizer is one that everyone should use! If you think that lotions and moisturizers are the same, we are sorry to tell you that you are wrong. With they both work to help add moisture to your skin, moisturizers are designed to add essential oils and vitamins back into the skin while lotions simple sit on top of the skin and offer different benefits. They are both great products, but if you have to pick one over the other, a moisturizer is the better option. The most important skin care product out there is sunscreen! While all of these other products can help to keep your skin looking and feeling great, sunscreen protects your skin and keeps it healthy. Using sunscreen regularly, and by that, we mean every day, you can help keep your skin looking younger and healthier year after year. Plus, it protects you against harmful UV rays that can cause skin issues and may lead to skin cancer. You can find main moisturizers that contain sunscreen, allowing you to get both benefits in one simple step. These are a few of the main skin care products that you should consider adding to your routine. Others include eye cream, face masks, face oils, anti-aging products, and more. Hopefully, we answered any questions you had about skin care products and what they are used for. To get started on your new skin care practice, start by scheduling a skin consultation at Azeal Dermatology in Boulder. Contact us to get any questions answered!